Described as “outstanding” (Tempo), “stunning” (Wales Arts Review), “ravishing” (Pizzicato) and “remarkably sensuous” (New Zealand Herald), pianist Xenia Pestova’s performances and recordings have earned her a reputation as a leading interpreter of uncompromising repertoire of her generation. Lauded for “dynamic energy and crystalline precision” (RTE Nova Ireland), Pestova is featured at major festivals and venues around the world, including appearances at the Queen Elizabeth Hall in London, Glasgow Royal Concert Halls, Philharmonie Luxembourg, Festival Archipel (Geneva), Christchurch Arts Festival (New Zealand), Cluster New Music and Integrated Arts Festival (Canada), Frontiers+ (Birmingham), Holland Festival (Amsterdam), Lanaudière (Canada), Festival Musica (Strasbourg), Sonorities (Belfast), Spark (USA) and Voix Nouvelles Royaumont (France). She is equally at home in experimental concert settings, and has performed in an underground World War II fortress, tropical gardens and a natural cave system inhabited by hibernating bats. Pestova’s commitment and dedication to promoting music by living composers led her to commission dozens of new works and collaborate with major innovators in contemporary music. Her widely acclaimed recordings of core piano duo works of the Twentieth Century by John Cage and Karlheinz Stockhausen with pianist Pascal Meyer are available on four CDs for Naxos Records. Her recording of Stockhausen’s “Mantra” was praised as “a highly accomplished presentation of one of the landmark pieces in the second half of the 20th century” in the Guardian. Her evocative solo debut of premiere recordings for the Innova label titled “Shadow Piano” was described as a “terrific album of dark, probing music” by the Chicago Reader. 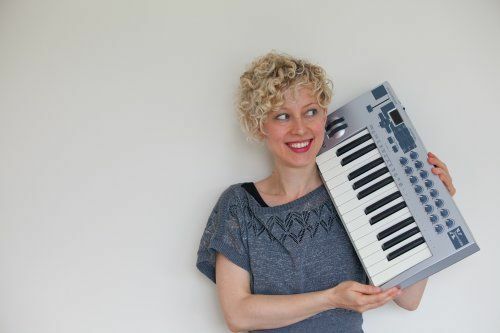 Currently, she is the Director of Performance at the University of Nottingham, and continues to mentor emerging musicians in workshops at conservatories and universities around the UK, Europe, Canada, New Zealand, USA and Brazil.